What can I say? She did it again. There are eight stories in this collection but the one that really grabbed me was “Wings.” About a couple of failing musicians in their late thirties, it starts with a few paragraphs of hilarious, circular musings on the part of the woman regarding how her boyfriend makes his living. Is he a pot dealer? She sure hopes not. But, wouldn’t that be a steady income? It would be kind of great if he were a pot dealer. I was dying. When the woman meets an elderly neighbor on a morning coffee-run–she and her boyfriend share one to-go cup of coffee, which she fetches and drinks half of on the way home–the story takes a new turn. It ends somewhere completely different than one would expect at the beginning; it was a little Alice Munro-y in that respect. 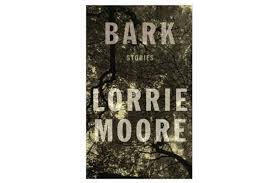 But, as with every Lorrie Moore gem, it was witty, sad, complex and true. The other most memorable story was the first, “Debarking.” It was fantastically unreliable. I’d say it had an unreliable narrator, but it was written in the 3rd person, so is that the right way to describe it? I think the whole story was unreliable. About a divorced man who starts to date a very strange, beautiful woman named Zora who has a bizarrely close relationship to her teenage son, it also hits all the marks: funny, unsettling, and–this may be what Moore does that is so special–too close for comfort. Not everyone would recognize themselves in her stories, but a certain segment of the population–perhaps a segment that overlaps with her readers–definitely does. This collection was more political than others–much of it was situated in the early years of the Iraq War. I’ve written about other books that tackle the same time period–it makes for a strange reading experience, I think, because it isn’t quite history yet but it is in the past. Is there a term for that?